We're having a monogrammed holiday party and you're invited! 'Tis the season for holiday parties and spreading Christmas cheer! Whether you are hosting a holiday party for work or shopping for the perfect hostess gift, it doesn't have to be stressful! 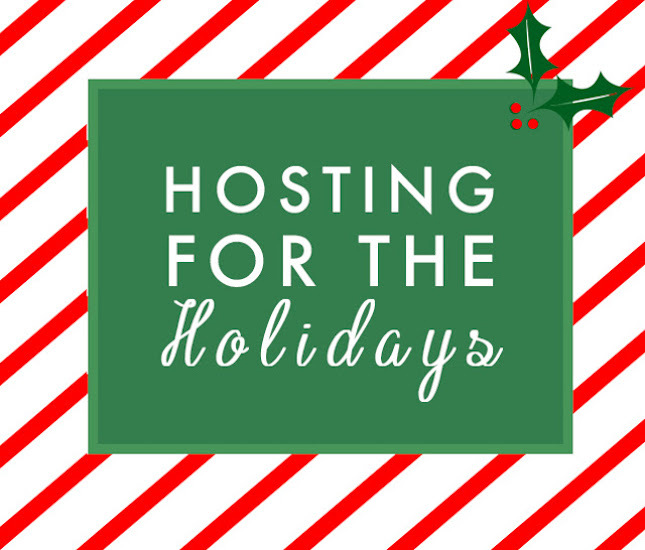 Being a hostess around the Holidays can be super overwhelming, but it doesn't have to be! It's the most wonderful time of year and it should stay that way! Here are a few products to help ensure that your event goes smoothly and you can enjoy a stress-free holiday season! Finding the perfect gift for your hostess can be tricky. You don't want to show up empty handed but you also don't need to spend $100+ on a gift. These monogrammed ceramic dishes and coffee mugs make the perfect gift. And the fact that it is monogrammed shows you really took the time to find and personalize such a meaningful gift. Bonus tip, if you're hosting, purchase some ceramic dishes or coffee mugs and use to set your table - your guests will love the thoughtful touch! If you find yourself being the hostess and want to incorporate a bar cart into your holiday party these next few items are a must! For the wine lovers out there we have the monogrammed wine toolkit and engraved wine corks. These make pouring a glass of wine simple and stylish! If you are taking wine to a party as a gift carry it in the Monogrammed wine bag and be the talk of the party. Being the hostess of a holiday party you can wear a lot of hats in one evening. You may be in the kitchen 1 minute and out socializing with guest the next. Do yourself a favor and get an apron to keep your dress clean and beautiful all night long. Another great addition to your party is Monogrammed placemats, napkins, and coasters. Create a simple and classy table setting in no time! With the collection being neutral colors it gives you the freedom to decorate the table based on the holiday or season. Let your imagination run wild and be festive! Our blogger friends from Patricia's Palace recently hosted a traditional Holiday party full of Christmas Cheer and Monograms! Check out her 'Be Merry & Bright Christmas Party' here to get inspiration for your own Christmas party. If you want to throw a Christmas party with a twist be sure to check out her pink flamingo inspired holiday party 'Deck the Palms' here. And always remember, it's the time spent with friends and family that mean the most. Don't stress over the small stuff like napkin colors and dessert menus. Just relax, have fun and enjoy the Holiday season! Be sure to comment below and tell us what items you're getting for your next Holiday party!